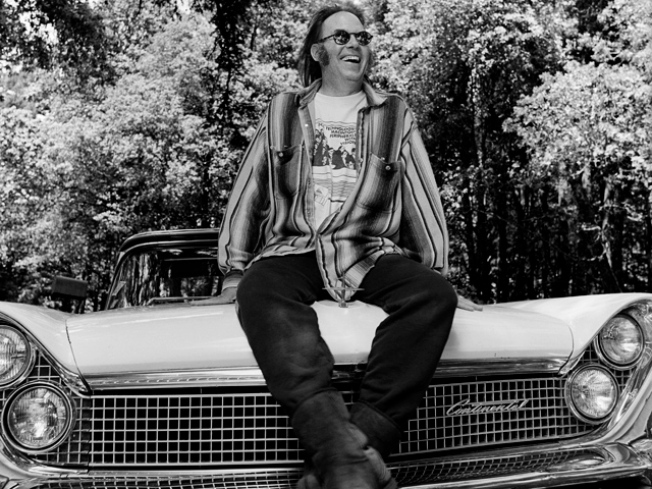 "Neil likes to call it the ‘Thinkin’ Lincoln'"
Neil Young sitting on his Lincoln Continental in 1994 in Woodside, California. Through Young's efforts, in part, it's now part of the Lincvolt project to make it into an eco-friendly, fuel-efficient car. Neil Young's 1959 Lincoln Continental used to be a gas guzzler, but now it's being transformed into something cleaner by a Virginia robotics company. The "Lincvolt" project started two years ago, after the rock star met Paul Perrone, founder of Perrone Robotics in Charlottesville, at a conference. Young had already partnered with "Motorhead Messiah" Johnathan Goodwin to transform his car into an eco-friendly, fuel-efficient vehicle. But it was Perrone's firm, which started working on the project last year, that gave the car its "brain" -- or the software which monitors the car's data, including its location, fuel level, efficiency and battery charge, according to The Daily Progress. “Neil likes to call it the ‘Thinkin’ Lincoln,’” Perrone said. The car isn't a plug-in model; it uses a generator installed under the hood that starts up when the 100 or so batteries in the Continental's trunk start running low, a signal it gets from the Lincvolt's brain. 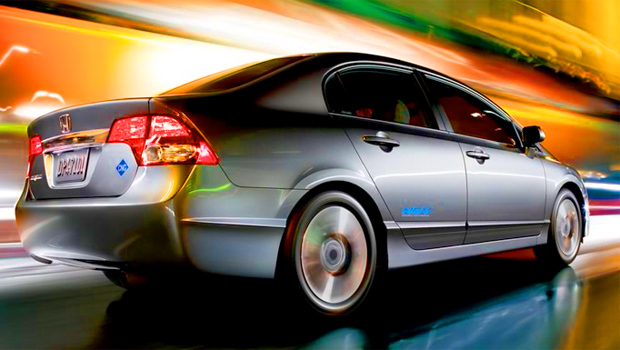 Perrone’s company is also working on technology to make the most of the car’s efficiency. According to The Daily Progress, the software will analyze a trip’s route and then calculate how to best maximize efficiency based on speed, topography, the timing of traffic lights and more -- kind-of like a super GPS, Goodwin said. While there is no set date for the completion of the project, which could turn the Continental into a 100-mpg car, a test run has been set for Nov. 1. That's when the Lincvolt makes it first trip, rockin' nonstop from San Francisco to Las Vegas.